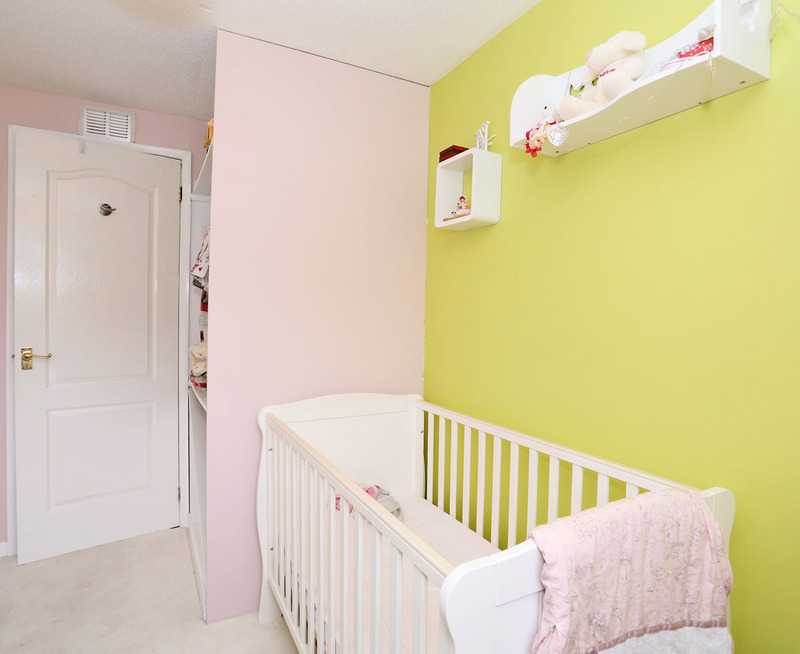 3 Bdrm Semi-detached Dwellhouse. Ground flr: Hall. Lounge. Dining kitch. 1st flr: 3 Bdrms. Bathrm (CT band - E). Garden. Garage. Parking. 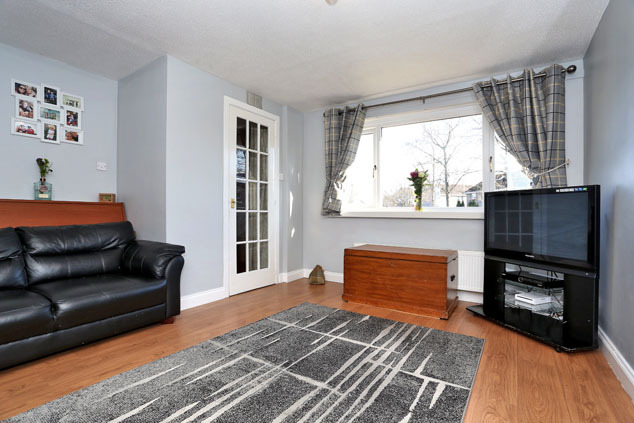 Fixed price £220,000 Entry by arr. Viewing 07841 642870 or 07708 243723 or contact solicitors. (EPC band - C). 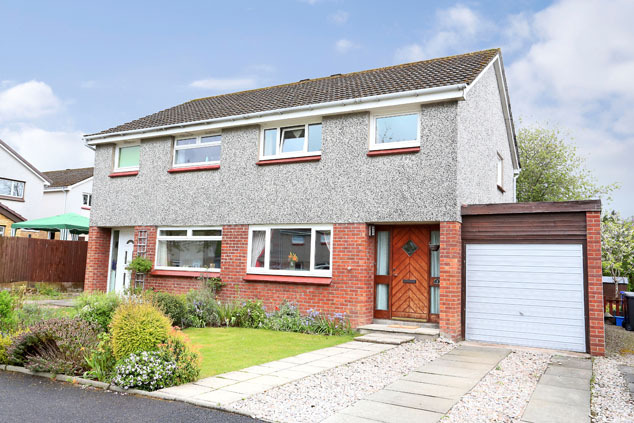 Situated within a quiet cul-de-sac in a popular residential area of Banchory town we are pleased to offer for sale this well presented spacious family home. 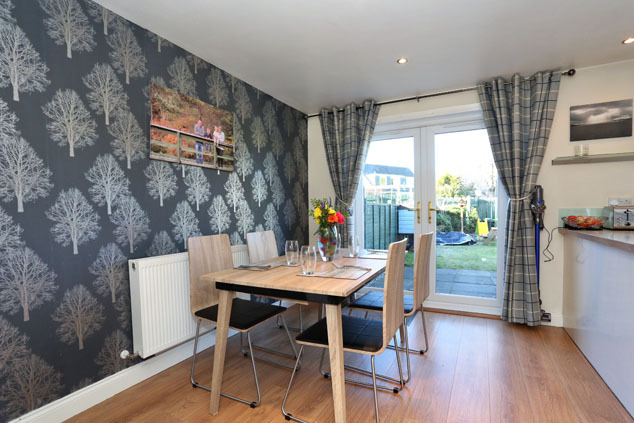 The light and airy accommodation comprises of a bright lounge enjoying a superb semi open plan layout with the spacious dining area/kitchen which features double French doors to the fully enclosed rear garden. 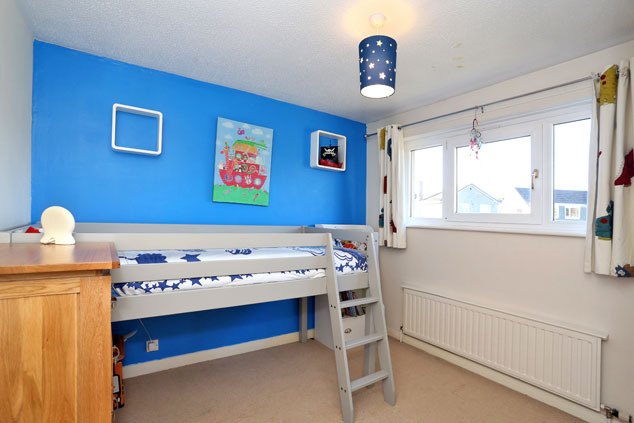 Upstairs there are three bedrooms with fitted wardrobe facilities and a well appointed family bathroom. 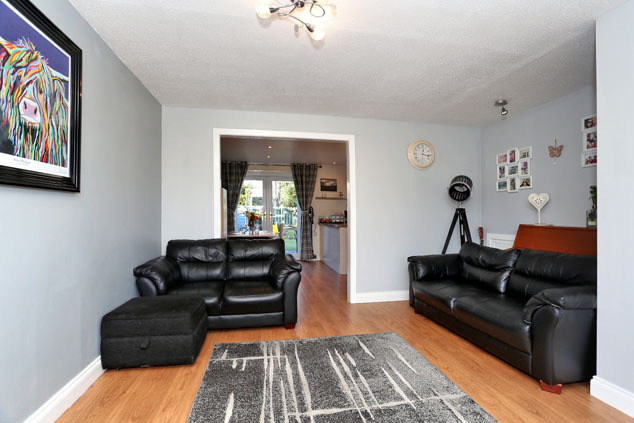 Outside the property boasts well maintained gardens to both the front and rear and a driveway to the side of the property provides off road parking and leads to the single garage. 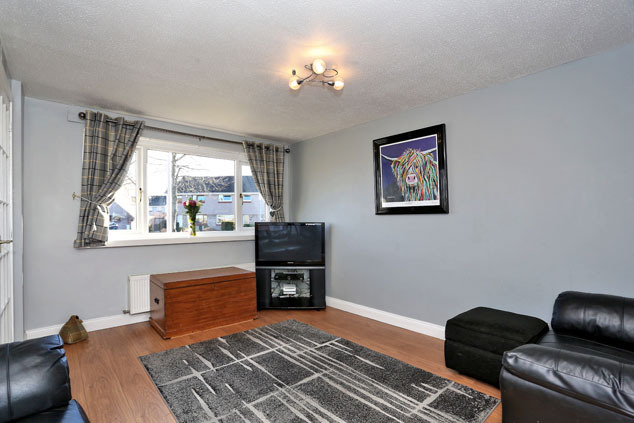 The property benefits from gas fired central heating and double glazing throughout and viewing of this attractive family home is highly recommended. Entrance Hall Entered via a hardwood exterior door with opaque glazed section and matching side screen, this area leads to the upper floor and lounge. Smoke detector. Laminate wood flooring. Telephone point. Lounge 13’6” x 13’3” [4.10m x 4.05m] approx. 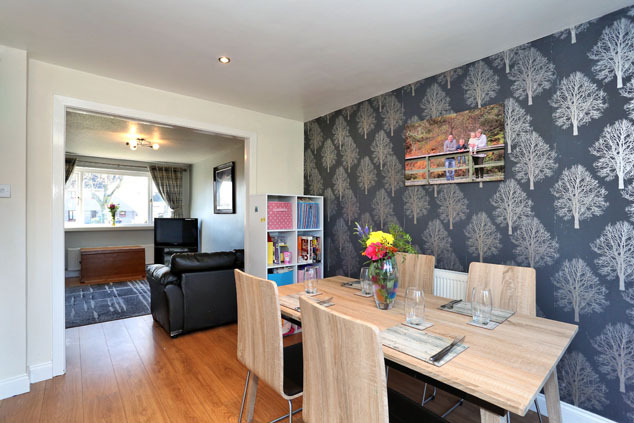 An exceptionally light and airy room with large picture window overlooking the front of the property enjoys a semi open plan layout with the dining kitchen. A deep understair cupboard houses the electricity fuse box and meter. Laminate wood flooring. TV and telephone points. Arch to dining kitchen. Dining Kitchen 16’7” x 11’6” [5.05m x 3.50m] approx. A well proportioned room fitted with a wide range of modern wall and base units with ample work surfaces and splashback panelling. 1.5 bowl stainless steel sink with mixer tap and drainer. 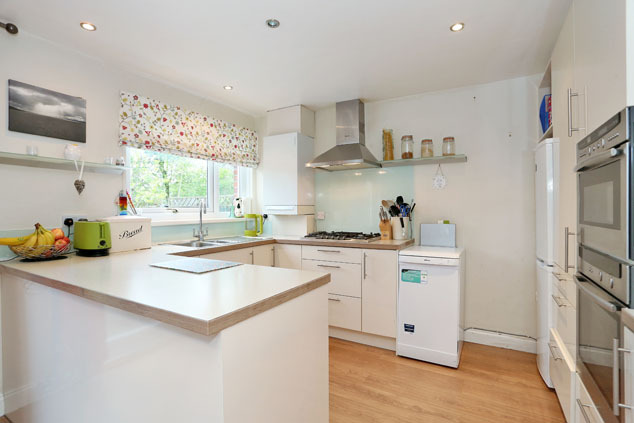 Integrated five ring gas hob with extractor canopy, oven/grill and microwave will be included in the sale along with the free standing dishwasher and fridge/freezer. Plumbed for a washing machine. A peninsular base unit separates the kitchen from the dining area which allows ample space for a family dining table and chairs. Double French doors with further window alongside leads to the rear garden. Wall mounted central heating boiler. Recessed lighting. Stairs to Upper Floor A carpeted staircase with wooden handrail leads to the upper floor and remaining accommodation. A window on the upper landing allows a good deal of natural light into the area. A fitted cupboard provides excellent shelved storage space. Hatch to loft space via Ramsay style ladder. Smoke detector. Bedroom 1 13’4” x 9’9” [4.05m x 3.00m] approx. 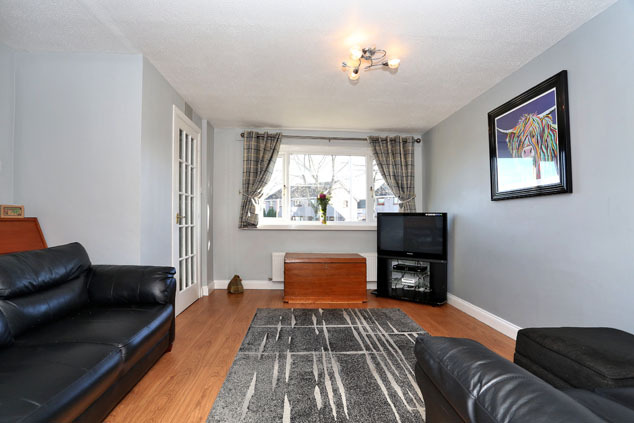 A spacious double bedroom overlooking the front of the property. Fitted double wardrobe with sliding mirrored doors provides shelf and hanging space. Telephone point. Bedroom 2 10’1” x 9’5” [3.10m x 2.90m] approx. 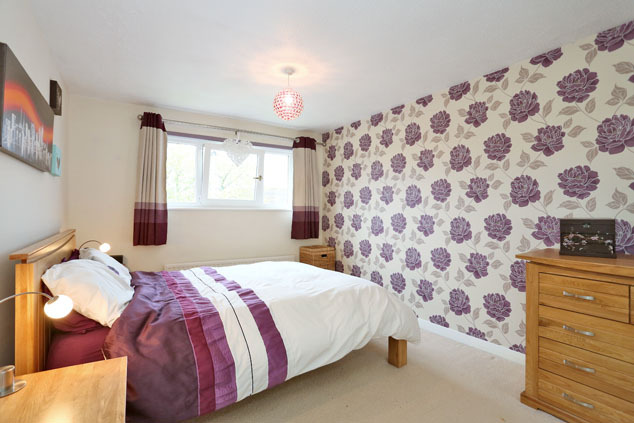 A further double bedroom situated to the rear of the property. Double fitted wardrobe with sliding mirrored doors provides shelf and hanging facilities. Bedroom 3 10’3” x 6’4” [3.15m x 1.95m] approx. at widest A good size single bedroom located to the front of the property is fitted with a cupboard providing shelf and hanging space. 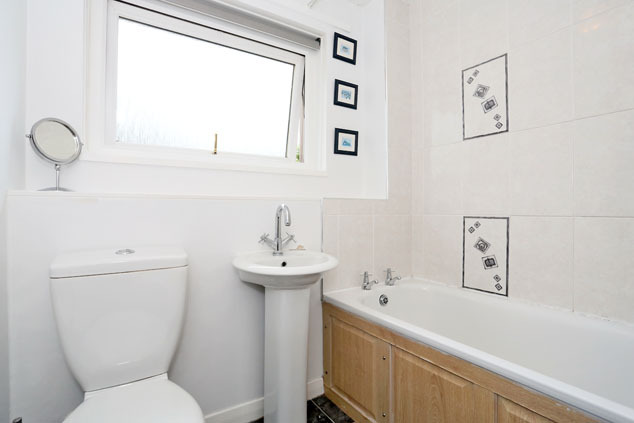 Family Bathroom Fitted with a modern white three piece suite with shower over the bath. Fully tiled around the bath and shower area. Display sill. Opaque window to the rear. Outside A paved and stone chipped drive provides off road parking for one car and leads to the single garage with up and over door which is equipped with power and light. 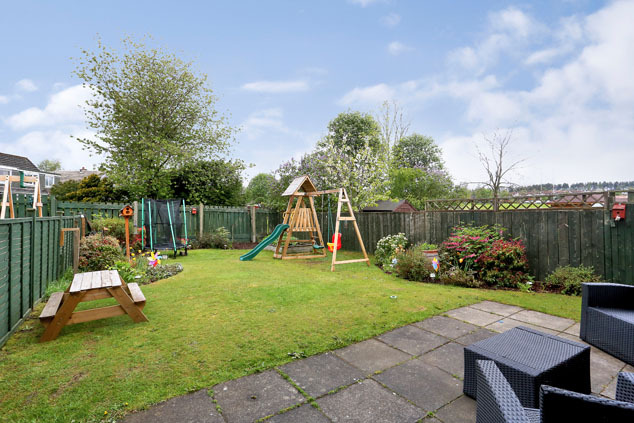 The well maintained front garden is mainly laid to lawn with decorative borders. 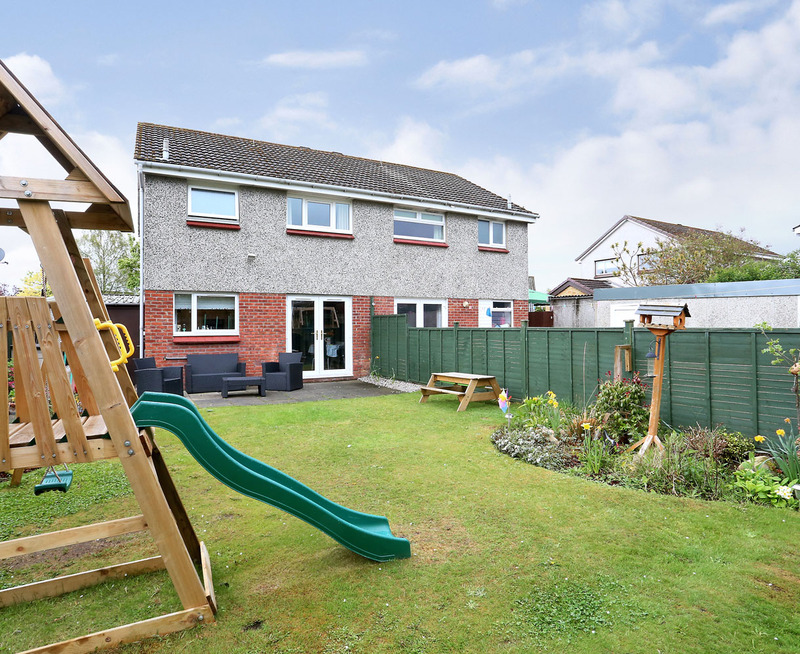 The fully enclosed rear garden enjoys a south/west facing aspect and is screened by timber fencing. Mainly laid to lawn this area features decorative borders stocked with a variety of seasonal plants and shrubs and a paved patio area ideal for outdoor entertaining. External lighting and water tap. Directions On entering Banchory town turn right into St Nicholas Drive, continue following the road round for a short distance, and turn right into St Aidan Crescent. Number 3 is located on the left hand side. Notes Gas fired central heating. Double glazing throughout. EPC=C. 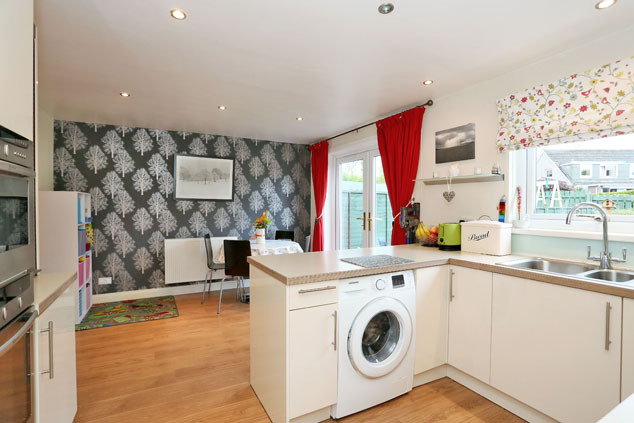 All floor coverings, curtains, blinds and light fittings along with most white goods will be included in the sale.